The award-winning Imperial Ice Stars bring theatrical ice skating to the intimacy of the theatre stage, at a specially converted London Palladium. This exciting production runs for just 14 performances and is set to delight audiences young and old. As Marie enters a winter wonderland her dreams form the Mouse King, Nutcracker Prince and the Lilac Fairy and Tchaikovsky's glorious score creates a magical and beautiful world. Keith Chegwin and Olga Sharutenko join a 26-strong cast of Olympic, World, European and National Championship skaters who bring this seasonal tale to life. Absolutely fantastic. 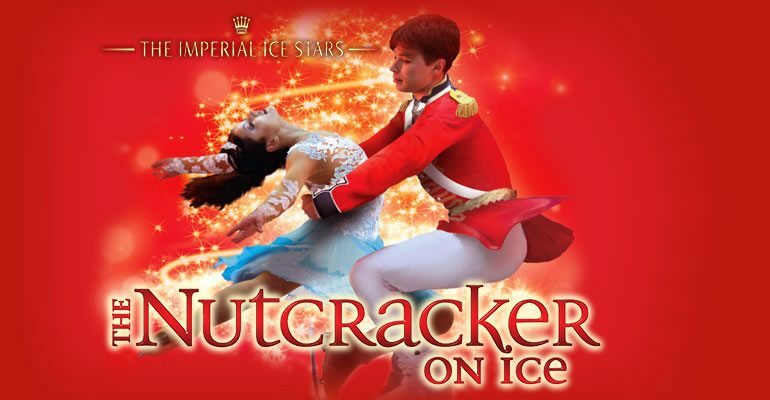 A lovely production, with ice adding an exciting element to the Nutcracker story. The skaters were really skilled, with amazing tricks but also beautiful grace. The snowflake dance will remain with me always. A polished performance not to be missed! Fantastic production! Thoroughly enjoyed the show - well worth going to see. The stage setting were wow! !